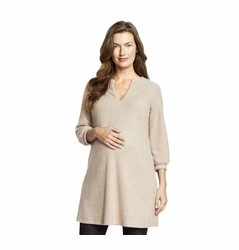 Maternal America maternity clothes deliver quality and impeccable style year after year. Classic bodies like the Front Tie Dress, Flutter Maternity Top, and Draped Neck Top are re-imagined each season with up to the minute patterns and colors. Maternal America maternity jeans have an amazing fit that our customer's keep coming back for. 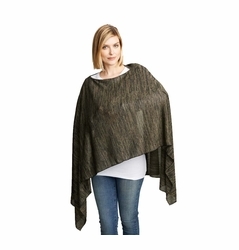 The nursing scarf and Tummy Tuck tops and dresses are also fan favorites! No wonder Maternal America is our top selling brand! A classic business blazer has been re-imagined with 3/4 length sleeves and adjustable tie front. Ideal to wear with a sleeveless blouse in warm weather or with a thin sweater or detailed cuff long sleeve shirt on cooler days. There is a one-button closure under the tie. 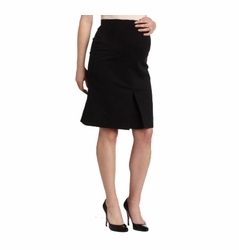 Perfectly matches the Audrey relax and slim fit pants as well as the front pleat skirt for a sophisticated and professional business suit. Also works well with career dresses and for a more casual look, cuff the sleeves and wear with jeans. One of Pregnancy & Newborn Magazine's Reader's Choice winners and Editor's Choice Winner, Maternal America maternity clothing design influences come straight from the runway. All of the fabulous maternity clothes that your favorite stars are wearing can be found here with a little extra help in the tummy area. The fit is amazing and the fabrics are superb. Maternity America maternity clothes are some of the best maternity designs available!